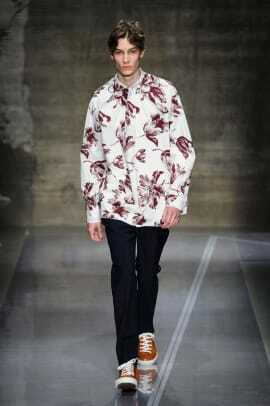 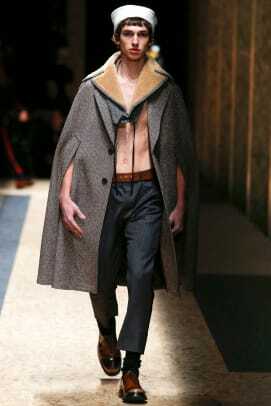 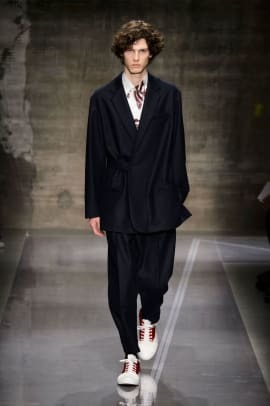 Discord and fragmented thoughts ruled Milan Fashion Week. 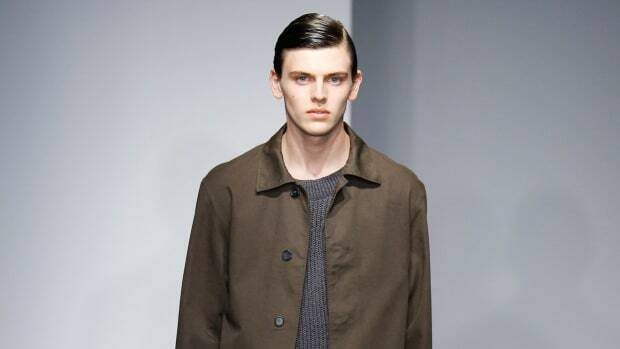 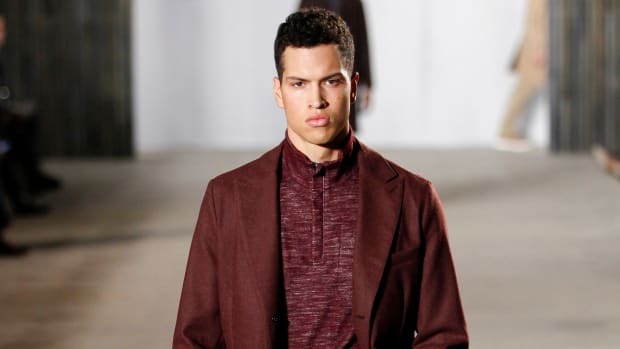 Designers were exhibiting their Fall/Winter 2016 collections, and a snapshot of the looks shown by six select designers revealed the extremes of men&apos;s style, along with milder fare in between. 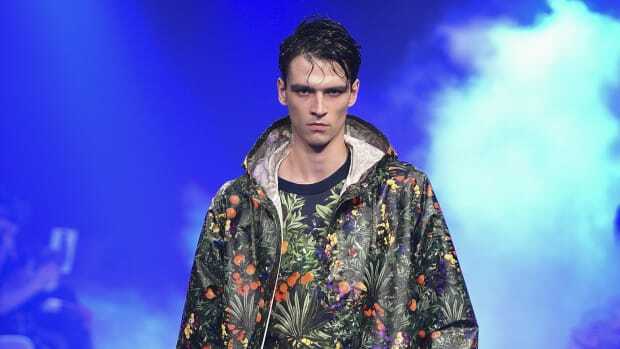 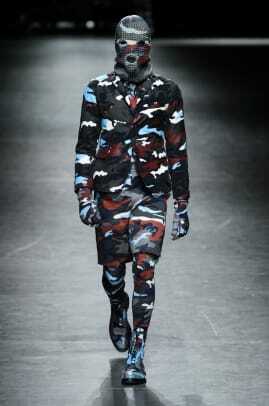 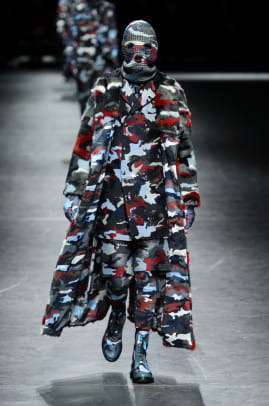 On one end was Thom Browne, whose collection for Moncler Gamme Bleu comprised trench coats, cardigans, Chesterfields, sports coats and puffers, all made virtually indistinguishable through an omnipresent Alpine camouflage pattern. 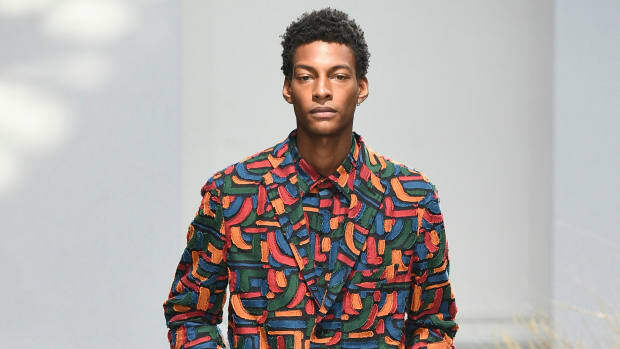 On the other end was Missoni, the house whose love of patterns and prints served to distinguish the texture and drape of the fabrics on display. 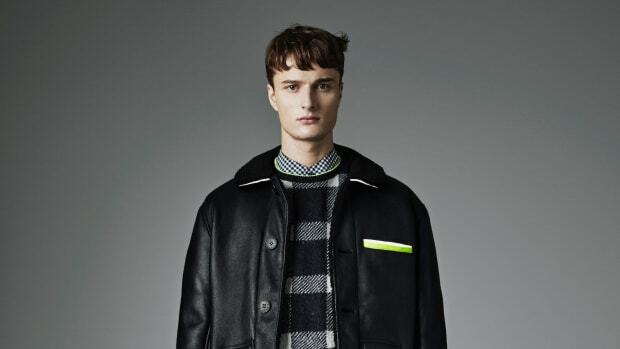 See those designers -- and four more essential presenters -- from Milan Fashion Week. 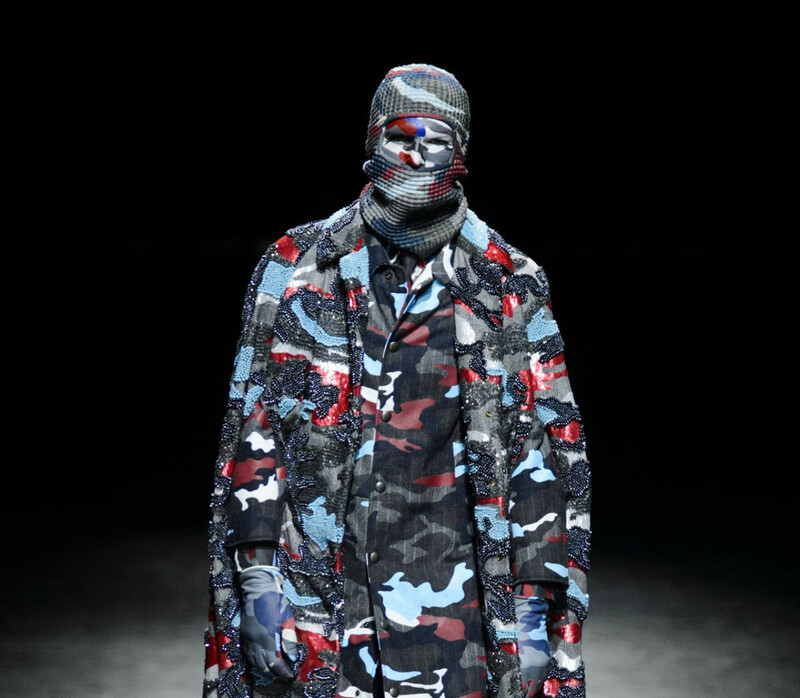 Camouflage and the concept of obscuring were the central themes in Moncler Gamme Bleu&apos;s Fall/Winter 2016 collection. 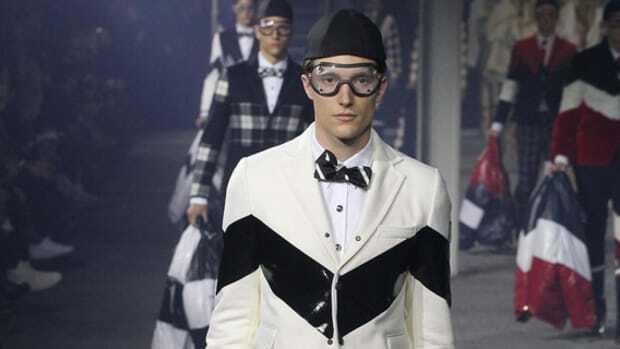 To that end, designer Thom Browne covered his models in the same grey, blue, red and white pattern, which emphasized distinctive silhouettes and layered proportions. 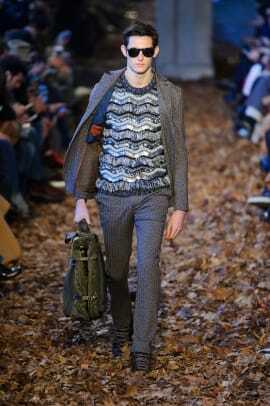 Angela Missoni looked to the traditional fabrics of Ladakh, a mountainous region in India, for inspiration for Fall/Winter 2016. 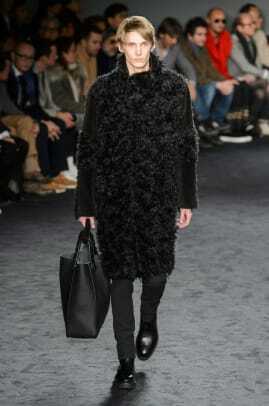 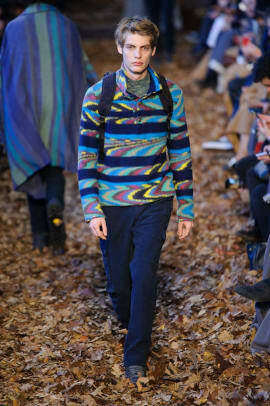 She sent out her models in chunky knits, accented with clashing patterns and fringed scarves. 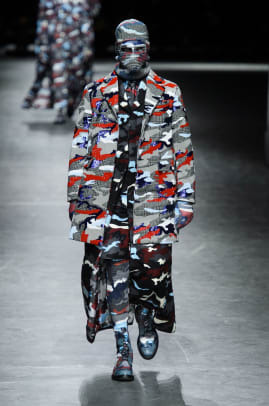 For her Fall/Winter 2016 menswear collection, Miuccia Prada sent her models down the runway wearing multiple variations on naval dress. 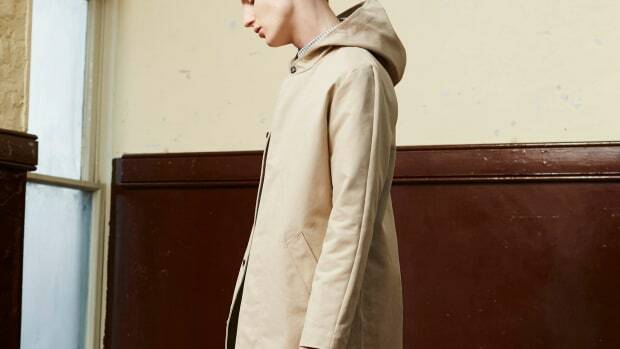 There were, waist-cinched jackets and classic officer coats, eventually giving way to a louche &apos;70s aesthetic. 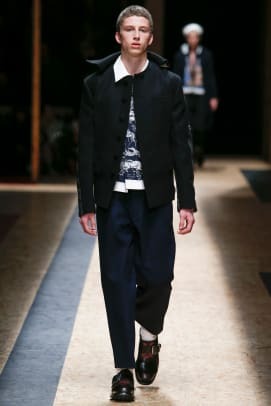 Consuelo Castiglioni played with proportions for Marni&apos;s Fall/Winter 2016 collection, mxing baggy tops and slim-fitting trousers. 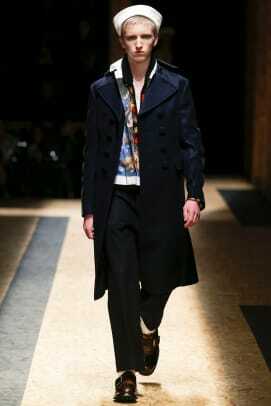 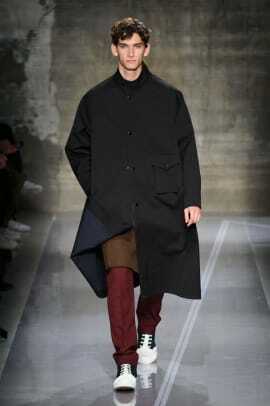 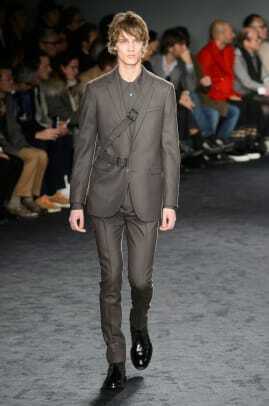 Similarly, quirky and casual blended with more formal looks for a playful appeal. 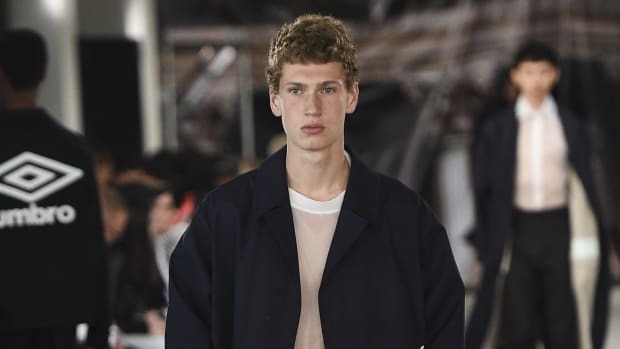 Designer Rodolfo Paglialunga maintained the minimalist Jil Sander aesthetic, featuring a monochrome color palette and refined fabrics. 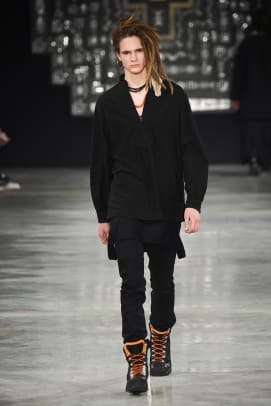 Belts that wrapped diagonally across the body and leather tunics added unexpected details to a mostly refined procession of looks. 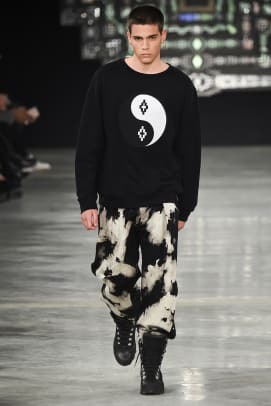 Marcelo Burlon&apos;s recurring Patagonian imagery was evident in his Fall/Winter 2016 collection, featuring both elongated tunics and vinyl trousers. 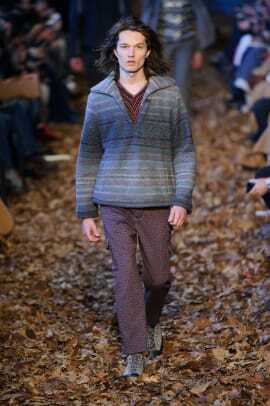 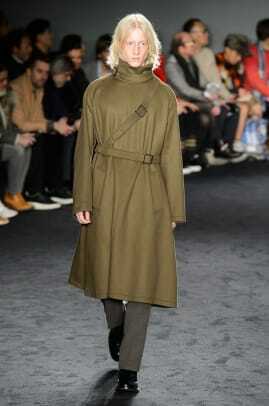 The clothes, both shamanic and utilitarian, seemed to invite tribes from the world over.